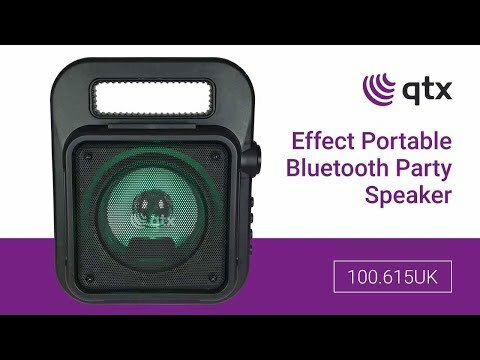 Take the party with you wherever you go, with a portable Bluetooth speaker with colourful LED light show. Perfect for karaoke kings and queens, simply connect the microphone to showcase your talents and record sing-alongs with the voice record function. Play your tunes via Bluetooth from your smart device, use the inbuilt media ports or even FM radio. This speaker is light enough to be carried by shoulder strap and features an internal rechargeable battery with up to 3 hours power from a single charge.